TTF-1 is a member of the NKX2 family of homeodomain transcription factors found in epithelial cells of the thyroid gland and lung. 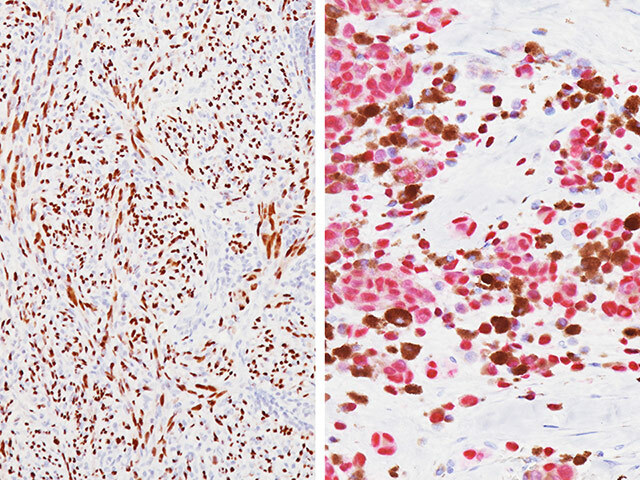 TTF-1 has been shown to stain approximately 65-70% of cases of lung adenocarcinomas (ADC), with a small number of cases of lung squamous cell carcinoma (SCC) also positive for TTF-1 (1-4). 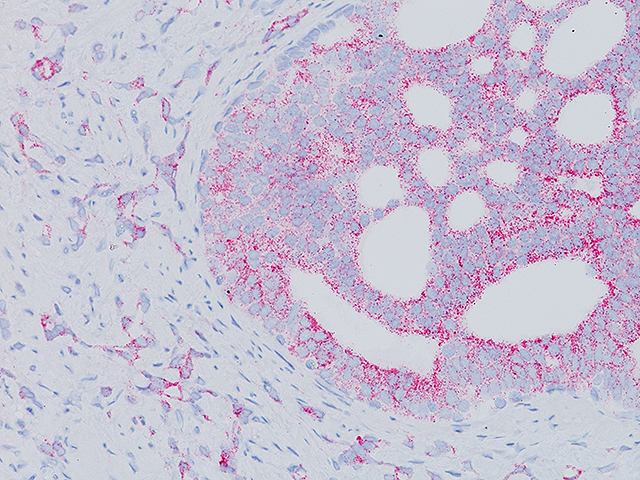 Napsin A is an aspartic proteinase expressed in type II pneumocytes and in adenocarcinomas of the lung (1). 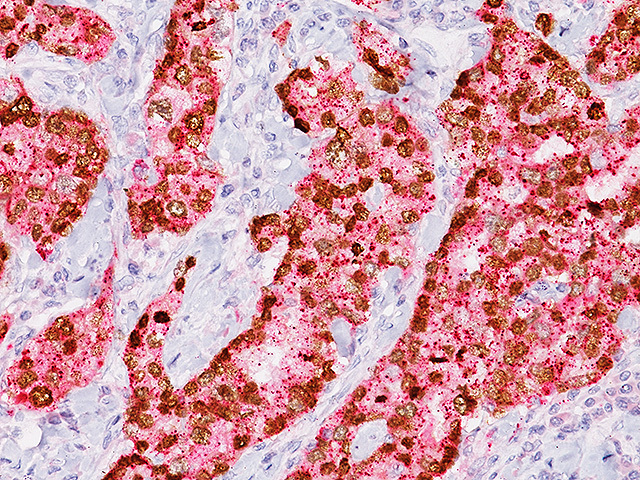 Napsin A has been found to be a sensitive and specific marker of lung ADC. 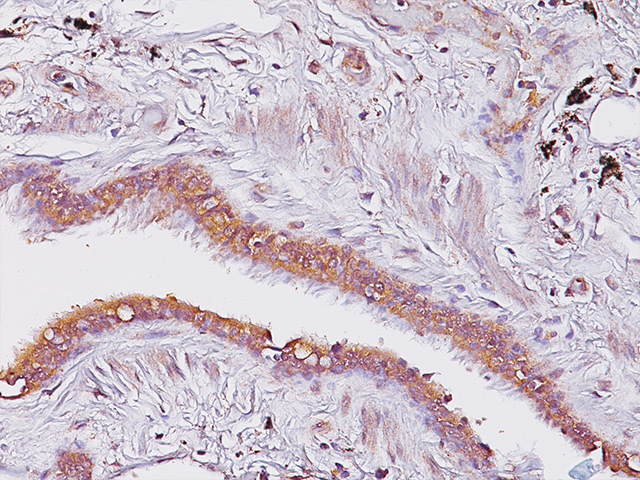 Napsin A has been shown to positively stain 85-90% of cases of lung ADC, while negative staining has been observed in nearly all cases of lung SCC (1-6). 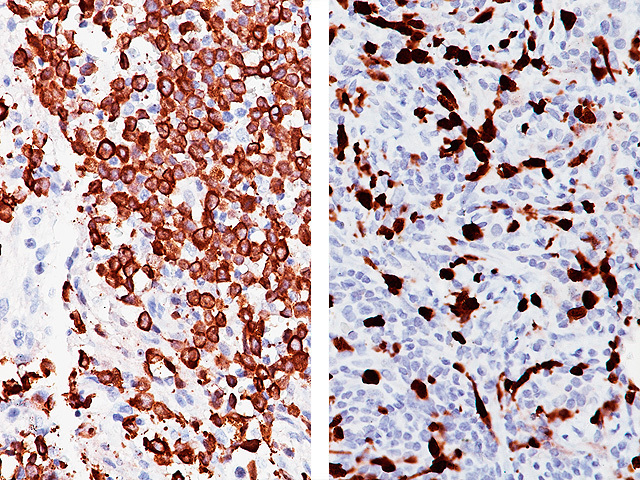 The antibody cocktail of TTF-1 + Napsin A has demonstrated a sensitivity of 91% (105/115) for lung ADC and 95% specificity (5/95) versus lung SCC (2). In cases where TTF-1 and Napsin A are both positive, specificity versus lung squamous cell carcinoma has been shown to be 100% (2). diagnosis of primary lung adenocarcinoma. Br J Cancer. 2003 Apr 22; 88(8):1229-33.
tissue microarray. Arch Pathol Lab Med. 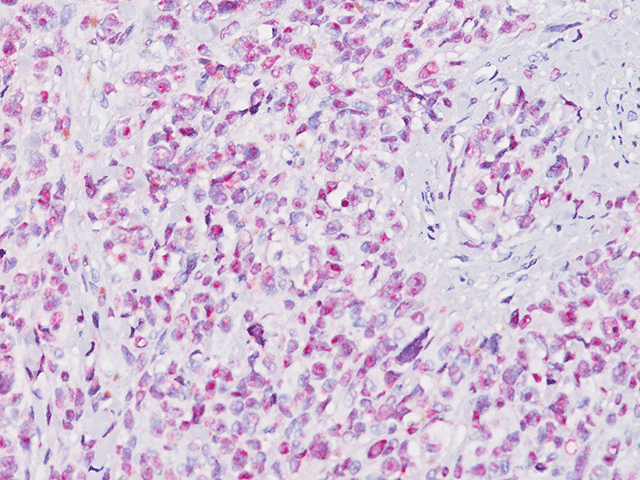 2012 Feb; 136(2):163-71.
adenocarcinomas of other organs. Pathol Res Pract. 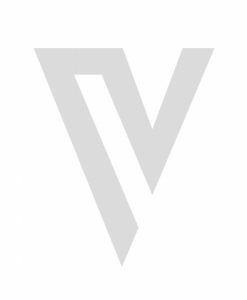 2005; 201(8-9):579-86.